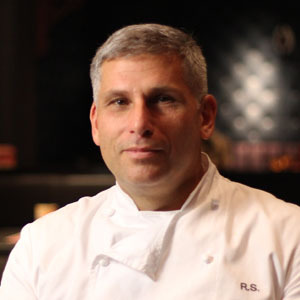 Ralph Scamardella is Chef and Partner of the venerable Tao Group, which operates some of the highest grossing, most profitable restaurant venues in the country. As a leader in Asian fusion cooking, Scamardella continues to travel extensively throughout Asia to learn about native flavors. Before joining Tao, Scamardella sharpened his culinary skills at the Plaza Hotel’s French restaurant and Polo restaurant under legendary chef Daniel Boulud. After that, he moved on to New York’s Italian staple Carmine’s which reflected the Italian influences from his childhood. (In fact, it was his Italian mother who taught him to cook, and his first dish was lentils and macaroni at the age of 12.) Scamardella graduated from New York City's Technology Institute. "Four or five simple ingredients, and you can make it as spicy or light or sweet as you'd like." "Anything deep fried really has its own flavor." A simple and unique twist on traditional grilled chicken. "A classic Japanese fried item." A well-rounded and light marinade that works beautifully over a variety of meats. "This is one of those versatile dishes that you can pretty much do with any vegetable you like." This flavorful salad serves as a great side dish, appetizer, or all on it's own.